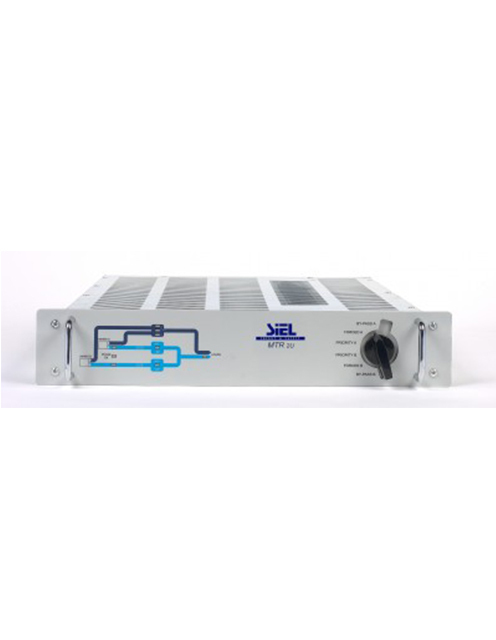 2U 19” rack mounted Static Transfer Switch to facilitate fully automatic switching between two independent single phase power supplies to provide ‘high availability’ power supply for network and telecom applications. The unit is equipped with a synoptic diagram with LED indication of system status and power flow. A rotary switch provides the selection of the priority source together with an integrated manual bypass facility. 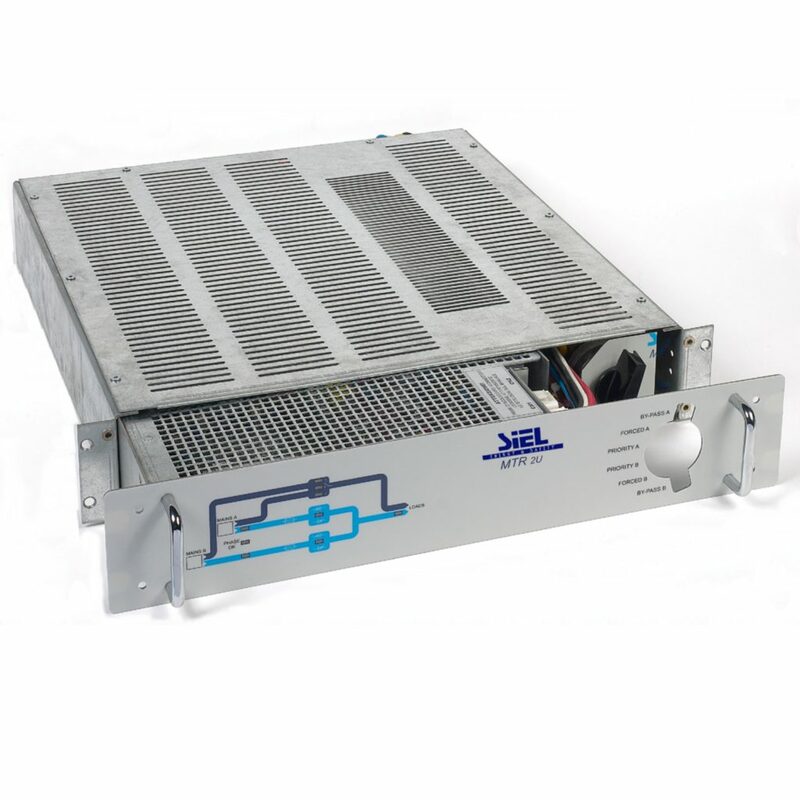 The manual bypass switch allows for complete isolation and removal of the power module for service/replacement purposes whilst maintaining a supply to the critical load. Dual hard wired input supply connections (A & B source) are via the rear of the unit. In its standard format load connection is via 10 x IEC rear connections. Other types of connectors/connection arrangements are available.